Expertly apply your makeup with the beautyblender® Classic Makeup Sponge in pink, an award-winning makeup applicator sponge with elliptical shape to ensure a flawless and professional makeup finish, without streaks or lines. 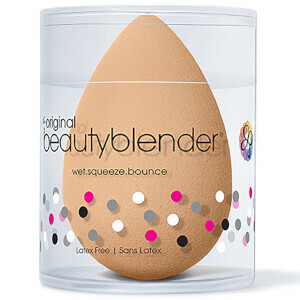 Effortlessly applying creamy primers, foundations, concealers, blushers and more, the beauty blender's open cell structure and flexible design ensure precision application; the specially formulated material won't absorb your makeup, so product sits on top of the sponge to avoid wastage and promote natural-looking, flawless coverage every time. Handcrafted in the USA, the makeup sponge is the perfect tool for achieving professional makeup results; use it to perfect your chiselling contour or for expert color correcting all over the face. Such a good price for a really durable blender. Application is fabulous and it lasts a long time too! This is the only real beauty sponge. Every other one will fall apart, get natty or have such a bad texture it makes your makeup not blend properly. Don’t bother with any other one! I hate that I love this tool so much! I used to use the little triangle sponges and thought everything was just fine. Never would I have spent $20 on a make up sponge... but I received this as a gift, and my application process is forever changed. 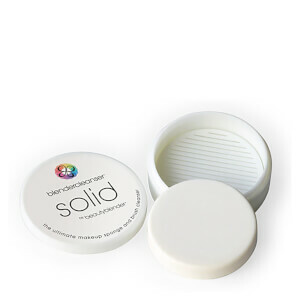 I use less product, and my liquid make up looks flawless and smooth. I tried to go back to my regular sponges, but no way! 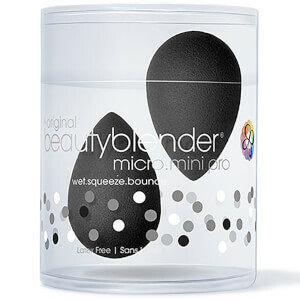 I'm a beauty blender convert, and I've convinced a few others as well. Love this little thing! The only thing I don't like about it is how long it takes me to clean it... maybe 3-4 minutes for a complete clean. If you have purchased this and think it doesn't work, I urge you to watch an instructional video on you tube or something. I had a friend who thought this was just mediocore until I showed her how to use it properly. Its worth it!